South-central province adopts resolution aimed at making tourism a key economic sector. South-central Binh Thuan province is to become a national marine tourism and sporting hub, with Mui Ne a national tourism zone, Phu Quy a national tourism destination, and Phan Thiet a tourism city, under its Resolution No. 9. 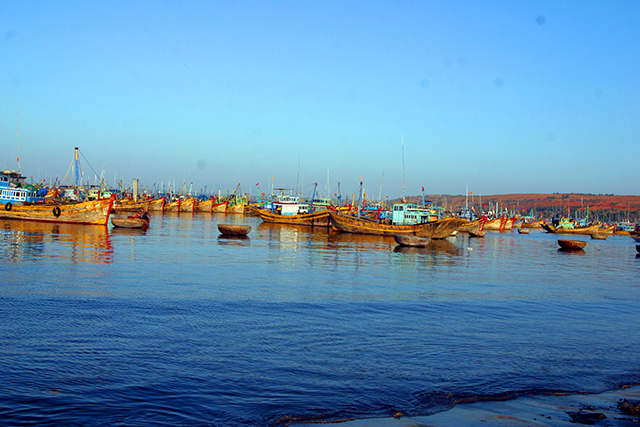 One of the key missions is to develop Binh Thuan’s tourism brand as a well-known coastal spot in Southeast Asia. The province will also concentrate its resources on boosting the brand position of Mui Ne - Phan Thiet in both domestic and international markets. 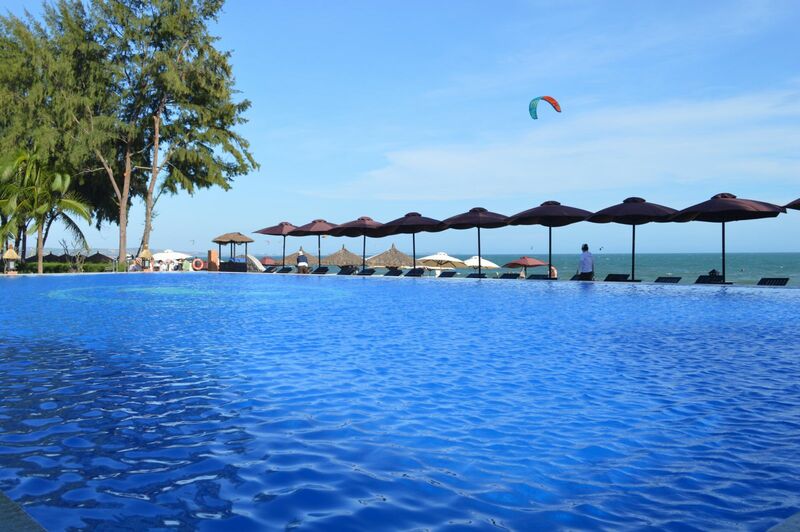 Ham Tien - Mui Ne will become a luxury resort area. The province is therefore calling for both domestic and international investment to develop the area but all investment plans must protect the environment and develop marine and island tourism in a stable manner. The province will then be a national tourism center that combines diverse types of tourism, such as resorts, forestry - sea - island ecosystems, cultural tourism, and cuisine tourism. The province has already diversified its tourism products to take advantage of its natural marine resources. Tourist arrivals to the province have increased remarkably as a result. In the 2011-2015 period, arrivals to Binh Thuan increased solidly, at an annual growth rate of 10.95 per cent. Annual growth in international tourist arrivals was 12.8 per cent and annual growth in gross regional domestic product (GRDP) in tourism was 6.04 per cent. 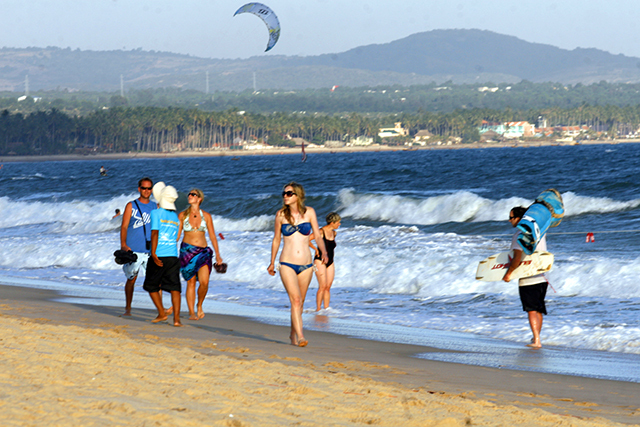 Not only known as a paradise for resorts, with a coastline of nearly 200 km, Binh Thuan is also among the best spots in Asia for kiteboarding, with competitions held by the International Kiteboarding Association. To achieve its tourism targets, Binh Thuan has approved a plan to protect and develop tourism landscapes to 2020 and vision to 2030. The plan also calls for large tourism investment projects and attracting major events. As at October it had 388 tourism projects with total registered capital of VND54.072 trillion ($2.4 billion), including 23 foreign projects. Tourism facilities and services are developing quickly in both quantity and quality as the province has decided that tourism is to become a key economic sector. There are 414 hotels and other forms of accommodation with a total of 13,120 rooms as well as over 300 villas. By 2020, Binh Thuan targets attracting about 7 million tourists, including 850,000 international tourists, with annual growth in the latter to be 12 to 14 per cent. Tourism is to contribute about 10 per cent to GRDP. In the first ten months of this year it welcomed 3.67 million tourists, an increase of 8.9 per cent year-on-year. International arrivals totaled about 413,000, up 13 per cent. Tourism revenue was estimated at VND7.222 trillion ($322.4 million), an 18 per cent increase. Figures from the Binh Thuan Department of Culture, Sports and Tourism show that international tourists primarily come from China (25.1 per cent), Russia (20.07 per cent), South Korea (8.36 per cent), Germany (6.39 per cent), Thailand (4.9 per cent), the UK (3.91 per cent), the US (3.34 per cent) and the Netherlands (2.76 per cent). Tourist arrivals in October stood at almost 400,000. Phan Thiet Airport is now being built with investment capital of VND5.6 trillion ($250 million) and should be finished in 2018-2019, which will help boost tourist numbers.